- Bay of Kotor: Take a sailboat excursion across one of the world's most beautiful bays. Bay of Kotor: Take a sailboat excursion across one of the world's most beautiful bays. 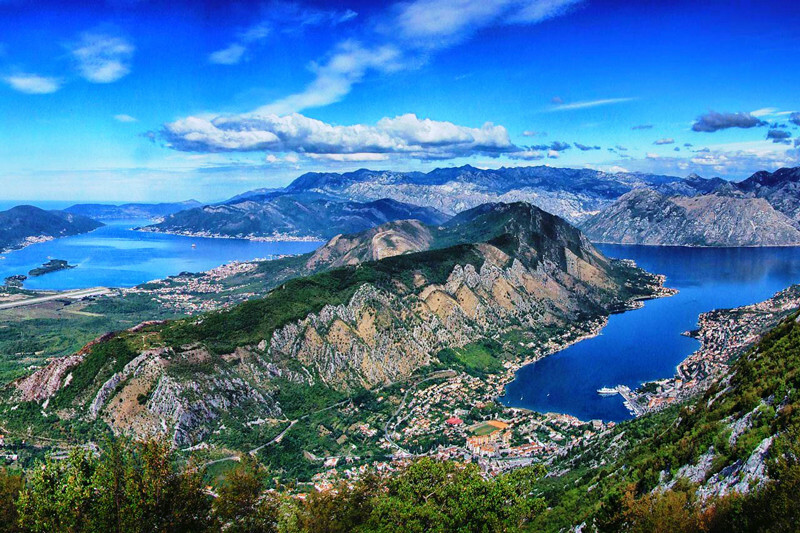 Start your Montenegro journey from the Bay of Kotor, known as "the bride of the Adriatic Sea." Is is located in Montenegro's southern region. It is known throughout the world as the southernmost fjord in Europe. The Bay, along with Koror and the city's surrounding areas is a protected UNESCO World Heritage site. It is a rare gem that is comprised of the gulf of Tivat, gulf of Kotor, gulf of Risan and gulf of Herceg Novi. In the area there are many tourist boats operating in several destinations: Rose, Zanjic, Perast, etc. However, there are also many excursions that explore the entire bay and will allow you to thoroughly enjoy the coastal area. If wealthy and prosperous places intrigue you, then you should visit the precious port of Tivat. Porto Montenegro is located in the town of Tivat in the Bay of Kotor and is a unique area of Montenegro. For yachts (12 to 150m in length) it is a very luxurious port. 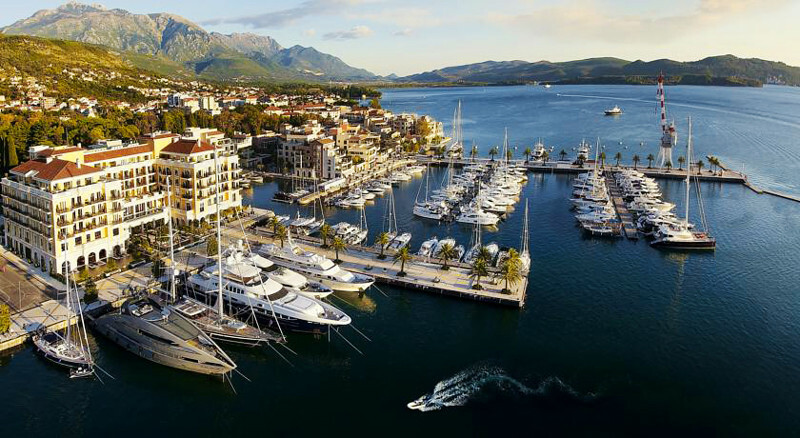 It is also the Adriatic coast's most exclusive marina. It offers boat refit, repair services and berths. This is a prestigious village offering gyms, tennis courts, beauty studios, cafes, restaurants, retail units and accommodation. There are many different events that are organized throughout the year in Porto Montenegro. It is growing and developing constantly into a genuine aspect of Montenegro that you will definitely want to visit. Welcome to Montenegro tourism's metropolis! The medieval town of Budva is location in the Adriatic Sea's western area. The Budva Riviera is central to Montenegrin tourism and among the most popular of all tourist destinations that is well-known for its eclectic nightlife (Top Hill), luxurious hotels and sandy beaches (Becici, Jaz Beach, Richard's Head, Mogren Beach). This Adriatic Coast town is 2,5000 years old, making it the coast's oldest settlement. While you are enjoying yourself in Budva, remember to take some photographs of The Island of Sveti Stefan. It is one of the Budva Riviera's special places. The town was founded in the 15th century and is characterized by its small churches, shops, narrow street and recognizable tower. It is located on a cliff of a very rocky island. 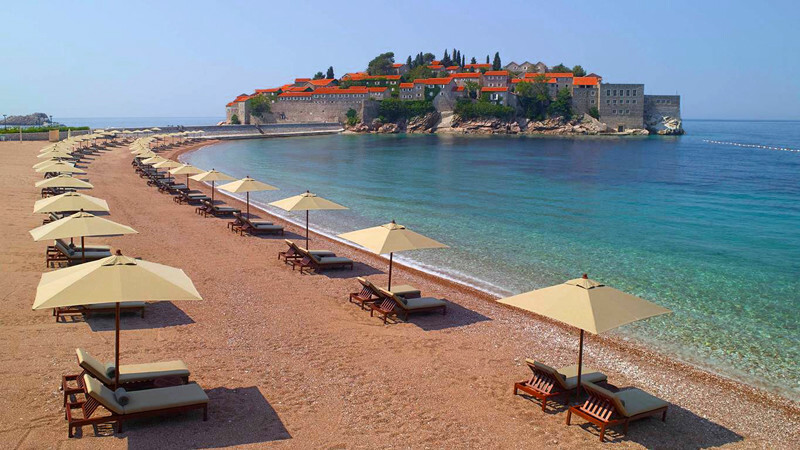 The well-known hotel call Sveti Stefan is located there. The island has unfortunately been closed to non-resort guests. However, the restaurants, hotels and beaches around the island are still open to the general public. Petrovac (also called Petrovac na moru) is a small coastal town located on the far end of the Budva Municipality. 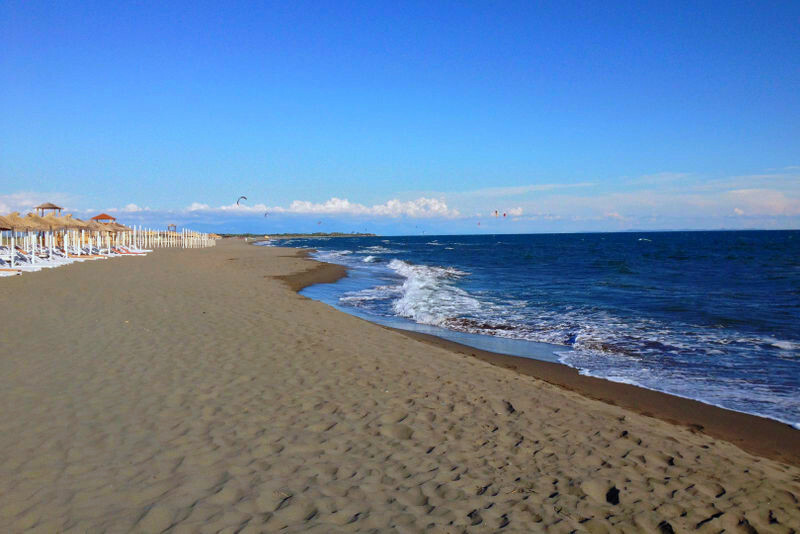 It is a renowned summer beach resort that is best known for its 600m sandy beach. It is perfect for guests looking for calm and peaceful surroundings. The town has 300 sunny days in the years. There are forest surrounding the beaches. Its mild Mediterranean climate produces lemons, oranges and olives growing around the town. It helps to enchant everyone so that the town truly flourishes. After you have a chance to sunbathe, we recommend that you visit Bar. This interesting town is located in the southern part of Montenegro. It is this country's major seaport as well. Due to its location, it is among the Mediterranean's most sunniest towns. It is well known for its diverse flora and fauna. There are numerous citrus fruits, along with beech, oak and maquis forest as well as Mirovica's old olive tree which is more than 2,000 years old. It is one of Europe's oldest olive trees. It is a unique phenomenon and was placed under state protection in 1957. The Bar area is inhabited by various invertebrates, rare birds (pelicans), mammals, reptiles and fishes. Tourist are not only able to enjoy nature here but other sites offered by Bar as well such as: churches, monasteries, Bar Aqueduct, Bar's Old Town ruins and the sandy beaches of Skadar Lake, Canj, Sutomore and Dobra Voda. Your journey along the Montenegrin coast can be completed in Ulcinj which is located in the country's southernmost region. It is also known as the Albanian community's center. From May through September it is a very popular tourist destination. The Montenegrin town is renowned for its sandy beaches. They are the region's most beautiful beaches: Mala Plaza is located near the center; Ladies Beach is a small pebble beach; Velike Place is a beach that is 12km long and is the coast's longest sandy beach. There are other areas of Ulcinj that are very well worth visiting and amazing also various promenades and fountains, Sasko Lake which is a favorite among birdwatchers; the unique and peaceful atmosphere of Ada Bojana; Old Town with its castle appears that was settled during the Middle Ages; churches (St. Nikola's Church) and mosques (Sailor's Mosque, Pasha's Mosque). The best way of becoming familiar with the people of Montenegro and their mentality is to visit Lovcen - which is the very heart of Montenegro. This sacred mountain has poetic, geographical and historical meaning. It is located in the country's northeastern region and connects the continent with the Adriatic coast. For tourists it is a very challenging mountain, particularly for climbers. There are two peaks: Jezerski vrh (1657m) and Stirovnik (1749m). There is an amazing mausoleum located on the top of Jezerski vrh. It is dedicated to Petar II Petrovic Njegos, the poet, philosopher and ruler. Lovcen was declared to be a national park in 1952 with a 6400 ha surface. There are various plant species there with four of them being endemic. Individuals from all over the world find the serpentine roads winding up to Lovcen to be an impressive architectural feature along with Ivanova korita, churches and old farmer houses. Once you reach the top of the mountain you will be able to enjoy the stunning view of the northern moutnains, Skadar Lake and Bay of Kotor. Njegusi is known as the "emerald valley" and famous for being the place where the world famous poet and philosopher Petar II Petrovic Njegos was born. It was also where the Petrovic Dynasty was born, which was the family that led Montenegro during the 18th and 19th centuries during its toughest time. Tourists can travel there from either Cetinje or Kotor and enjoy the driver through the genuine serpentine and wonderful roads. It is located at the slopes of Lovcen Mountain. From Krstac there is an incredible view. This is located at the entrance to Njegusi, where the Bay of Kotor can be viewed in addition to very romantic sunsets. Njegusi village is renowned for its dishes like prsut and cheese or ham and it traditional cousine feast. So this is a great place for you to take a break and have a bite to eat if you are hungry! To plate your picture of Montenegro's culture, history and people we recommend that you go to Cetinje for a visit. This is a place where all of Montenegrin historical relics are located. It is this country's royal or secondary capital, orthodox religious center and cradle for Montenegrin culture. It is also the president of Montenegro's official residence. The rich historical heritage of the town is surrounded by Lovcen Mountain. There are numerous sights in Cetinje to visit: historic foreign embassies, various museums, Zetski Dom-Royal theatre, Vlaska Church, Biljarda and Cetinje Monastery. There is also Lipska Pecina - which is among the former Yugoslavia's largest caves. Cetinje also has a rich publishing and printing history and boasts an excellent printing house called Crnojevici.